Lure coursing is a sport that many dogs enjoy, and it’s a great way to provide your dog with plenty of mental & physical exercise. 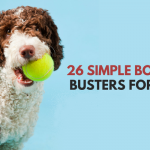 If you’re interested in trying it with your dog but aren’t sure where to begin this guide is for you. From finding local coursing clubs to creating a DIY lure course for your dog, this guide will help get you started. Lure coursing is the sport of having dogs chase a mechanized lure. Modern lure courses use an artificial lure attached to a pulley for dogs to chase. And it’s not just for sighthounds anymore – recreational lure coursing clubs have been established for dogs of any breed. Why Get Involved in Lure Coursing? If you’re looking for a new way to have some fun and get in some great exercise with your dog you should consider lure coursing. Any dog that’s in good physical condition and loves to chase or exhibits prey drive is perfect for the sport – it’s not just for sighthounds anymore. You can join a local club and let your dog compete recreationally, or you can build your own lure course in your back yard. If you own a sighthound you might be looking for ways to meet his energy needs and coursing is natural for them, it’s what they’ve been bred for. Many other dogs enjoy the thrill of the chase as much as hounds – it’s quite common to see many terriers competing in the sport. I’ve seen all kinds of dogs from Corgis to Great Danes compete in coursing. Any dog can join and have a great time as long as they like to chase. Lure coursing is the modern version of chasing a lure based on the ancient sport of live game chasing. Sighthounds were bred for tracking live small game such as hares, pigs, foxes, and in some cases large game such as deer or antelope. The sport goes has a long history – 4,000 year old Egyptian tomes depict coursing with long legged hounds. It was a popular sport amongst wealthy landowners that had big hunting grounds to practice on. In the middle ages coursing was only accessible to royalty; in England commoners were not allowed to own a Greyhound for quite some time. In the 1970’s Lyle Gillette and other sighthound fanciers in California developed a portable, controlled coursing event that is commonly seen today. They wanted to create a version of the sport that could be enjoyed without the risk of injury that live game chases with created. He designed a mechanical lure (“prey”) made from plastic bags or artificial fur. The lure is then ran from string ran through a set of pulleys in an open field – stimulating the thrill of the chase in a controlled, safer environment. A mechanical switch controls the speed of the lure and the lure is dragged across the ground with a set number of turns and direction changes. In the official sport the lure must be able to exceed 40 miles per hour. There are several official clubs that hold lure cousring events throughout the world. They’re restricted to sighthounds and the dogs must be registered Kennel Club members in many cases. AKC – The American Kennel Club officially sanctioned the sport in 1991. ASFA – The American Sighthound Field Association has 9 regions across the United States. FCI – Holds international trials across Europe – dogs are judged according to FCI regulations. CKC – The Canadian Kennel Club judges official events in Canada. A standard lure course in the United States is 600-1000 yards in length. In Europe courses can be over 1000 meters and may use jumps or obstacles. Dogs must be at least one year old to compete officially due to the increased risk of growth plate injuries that rigorous activity creates. They are scored on speed, endurance, agility, enthusiasm, and ability to follow. 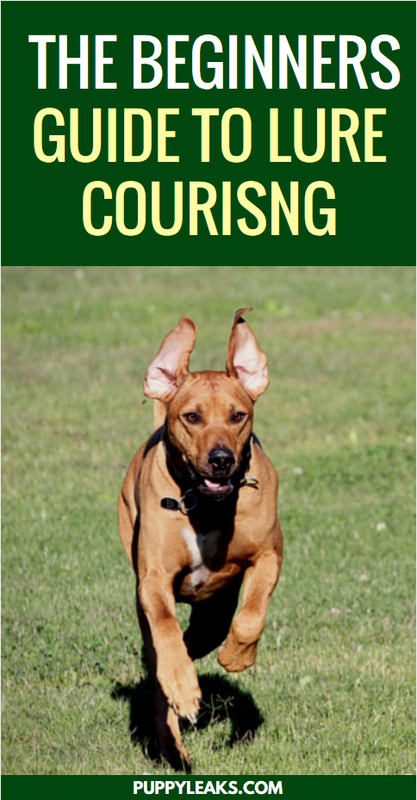 Coursing offers a great way for dogs to burn a lot of energy while having some good, safe fun. If your dog likes to chase they’ll most likely love lure coursing. Enthusiasts of the sport have set up many local clubs throughout the United States. A few clubs have muzzle requirements. It’s not common for dogs to stop chasing and pick a fight but wearing a muzzle is an option the handler can choose if their dog has shown any signs of aggression. Lure coursing is a demanding sport whether you’re doing it officially or for recreation. All of the sharp turns put a lot of pressure on your dogs joints – the more fit (thinner) the dog is to begin with the less pressure the abrupt turns create. This is why as mentioned above dogs under 1 year of age are not often permitted to compete. Dogs with short noses, the bracycephalic breeds such as Pugs, must be watched carefully for signs of overheating. There aren’t many physical requirements for the handler in coursing. 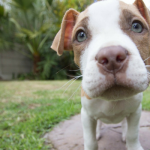 You must be able to hold your dog back at the start to avoid them from breaking away early. You must also have a reliable recall so you can call your dog back after the finish. Most recreational clubs are privately owned and funded so make sure you clean up after your dog. Taking your dog out for a walk before they’re set to compete can help reduce the chances of them eliminating on the field. If you’re going to be competing in a local event check with your local club to find out if there are any prerequisites. Most local clubs don’t require any prior experience. 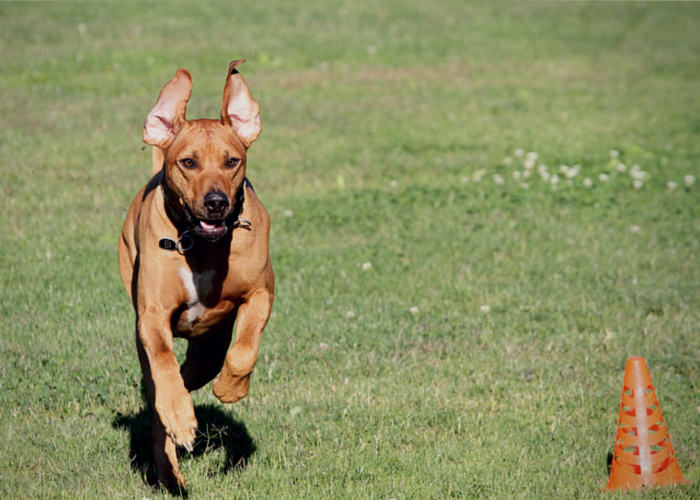 Lure coursing works great for any dog that has a desire to chase. They may not win their first competition but it’s quite a thrill to see how much fun they have running the course. Remember it’s not just about the ribbons – it’s about having fun and creating a meaningful activity for you and your dog to participate in together. If you’re unsure about your dogs enthusiasm for chasing try buying or making a flirt pole. These toys stimulate a dogs desire to chase – if your dog loves playing with a flirt pole they’ll likely love lure coursing. Make sure your dog is physically fit enough to join a lure coursing competition. A few sessions of training a day at home can help burn off extra calories if your dog is overweight. Don’t make your “couch potato” dog suddenly start chasing for an hour every day. Over exercising an out of shape dog can lead to injuries. Keep your sessions short and slowly build up endurance over time. Before you enter your dog in a competition you might want to go out and observe a trial. You’ll meet a lot of new people and most likely meet a few that will eagerly tell you about their personal experience with the sport. Make friends and sit back and enjoy the event. Keep in mind it’s a noisy sport – if you’ve ever been to a flyball competition you know how noisy a bunch of dogs getting together can be. You can bring your dog as well – let them sit and observe the trials. Keep in mind when it’s time for your first competition they can use up a lot of energy if they’re barking and pulling. When it comes time for your first competition you’ll want to keep your dog off to the side until it’s almost your turn. If you do decide to enroll your dog in a competition make sure to tell them it’s your dogs first time. They’ll often be able set aside a time where your dog can run the course by himself to get a feel for it. If they know you’re a beginner they’ll be able to show you how to properly use the slip lead and use your coursing blanket. Don’t overdo it when it comes to starting out. 2 or 3 straight runs is enough practice for your first time. The second time you practice you can consider running a course with some turns. Generally dogs will practice on at least 2 different occasions before they’re able to compete with other dogs. Practice your recall until you can pretty much guarantee your dog will come back to you. After the course it’s your responsibility to get your dog back amongst all the distractions. If you don’t have a lure club nearby you can make your own lure. Use either a plastic bag or a lightweight toy and tie it to fishing line. Play keep away for awhile to stimulate the urge to chase. At first you should let the dog “win” a few times and catch the lure. Allow them to play with it for a minute, but not long enough for them to grow bored of it. Letting them catch it every once in a while encourages them to keep trying. Keep the sessions short to maintain interest and enthusiasm. If your dog doesn’t get excited by your homemade lure try placing some food inside of a bag and try that. If your dog goes crazy for squeaky toys tie one of them to the line. Create your own vocal command for chasing such as “chase it” or “get the lure.” Keep it fun and don’t overdo it. Although lure coursing is ran in a controlled environment with safety in mind there is a always risk for injuries. It involves running at high speeds and taking sharp turns – it’s both exhilarating and highly demanding on your dog. Be aware of your dogs physical capabilities and be attentive to their condition before and after an event. Consult with your veterinarian if you have any concerns about your dogs physical condition or weight. Running an overweight dog increases the risk of extra joint and muscle strain. Make sure you dogs nails are kept short since toenail injuries are common when dogs are racing. Keep them short enough so that they don’t touch the floor when they’re standing on a flat surface. 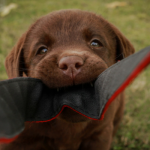 If your dog has its dew claws you can purchase “Vetrap” which is a bandaging material that you can use to cover them to avoid them getting stuck in the lure. The wrapping should be done shortly before their run and taken off right after. Feed your dog half of their normal morning meal on the day of an event to avoid extra risk of gastric torsion (bloat) and don’t feed them immediately after a run – give it an hour or two. After your dog runs make sure to take them for a nice cool down walk. Leisurely walk them around for 15 minutes to help avoid muscle cramps. 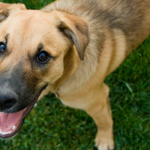 Observe your dogs gait and feet to check for any abnormalities or injuries. If it’s a hot day wet them down with some water on the chest, thighs, and feet. After his breathing has slowed down allow him to drink plenty of water. The great thing about lure coursing is it usually doesn’t require much training – many dogs see a moving object and naturally begin to chase. Some dogs might need some coaxing but eventually they’ll get it and follow along with great enthusiasm. If your dog exhibits any prey drive they’ll most likely love this sport. Find yourself a local lure course club and check it out for yourself. Looking For More Fun Activities for Your Dog? We started with a flirt pole when we were working with one of our first trainers. She said because Laika’s prey drive is so high she’d probably love coursing. We haven’t competed but we’ve got a little DIY course in the backyard that she loves. If Barley already has a high prey drive I’m guessing it won’t be too hard to convince her to chase the right lure – finding the right one can be a challenge. Lure is such an exciting activity. Very high energy! It is a great way to burn off lots of energy in a hurry. We love to chase, but we are scent hounds, so couldn’t compete, and the risk of injury is a bit scary, another reason we don’t do agility either. This is a great sport for dogs, though. Thanks for joining the hop with this sport! I didn’t consider that; if you’re a scent hound vs. sight hound. Great point – I’m just so used to Laika pulling to chase anything that moves so we’ve been working on a DIY course in the back yard. The risk of injury can be somewhat off putting, I agree. Mr. N thinks that lure coursing is the best thing ever. He loves it. Tynan loved lure coursing but back in the day there wasn’t a way for him (a mutt) to compete. So we just took classes and practiced for fun! I was hoping Wilhelm would be a competitor but he had absolutely no interest at all. That’s a shame – I know the local club around here lets mixes join in but I haven’t decided if we’re officially going to join or not. I need to bring Laika to a few events first and see how she does. I love going to them – the dogs seem to have the time of their life. Thanks for all the great background on this sport. It’s sure fun for the dogs and great exercise for them as well. wow!!! This seems super interested!!! Lure coursing is supposed to be a lot of fun. Not sure we will try it, but maybe someday. My Coonhound loves to chase things, and I have been unable to find recreational lure coursing in my area. So I purchased an RC monster truck, strapped a squeaky fox to it, and drive it around in the back yard. He lost his mind over it! Seriously that’s such a great idea. I love hearing about the sweet ways you can make a course of your own, and a RC truck is the perfect lure. Thank you, and you have my permission. Thanks again, so much, for your kind permission to reprint it!